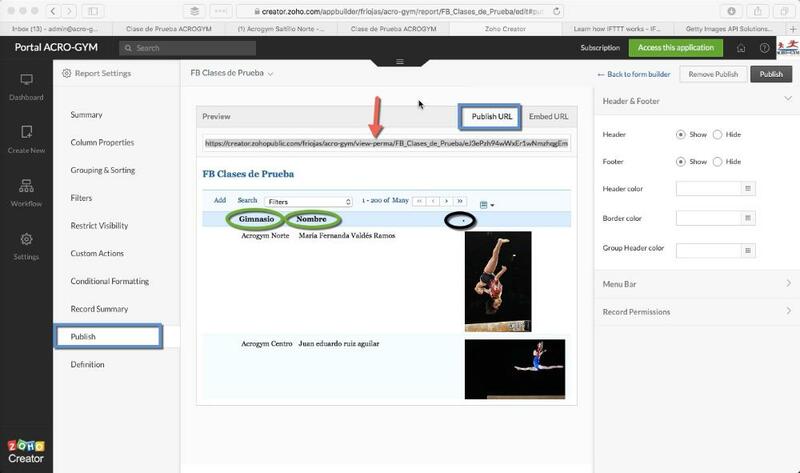 Second, you need to connect the Getty Images API to GET an image related to your business and store it inside Zoho Creator database. The script needed to implement the integration is below. You will notice a string search value in the first section of the script. This is where you tell the API what kind of image you need. If your business is cookies then you can pass the search string "Cookies" and get a beautiful well-taken cookie picture on the other side. Third, you need to publish and get the URL of the view with an image from Zoho Creator reports and replace the /view-perma/ section of the URL with /rss/. Keep in mind that column headers in the view will become part of the post url sent to facebook. So its important you think about the names you want to use. For the column name of the image use a "." or a "_" the idea is for the image name not to be visible. 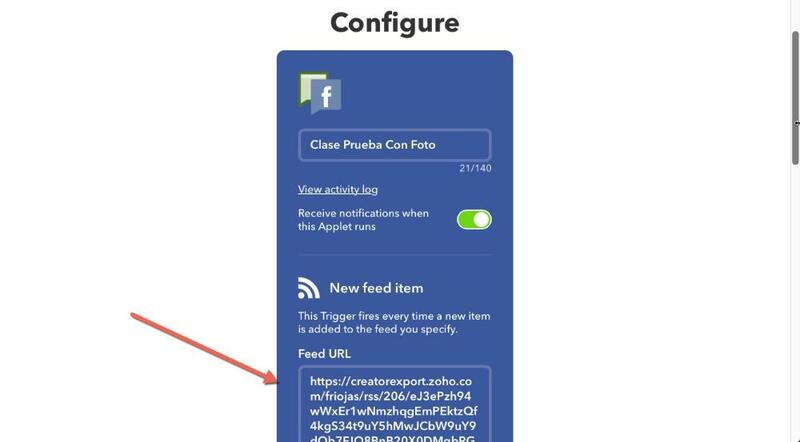 And last but not least, create an RSS to FB page applet in your ifttt.com account and insert your Zoho RSS URL from the previous step. Follow the instructions ifttt.com will provide, be creative add emojis and #hashtags to your post just like you would in real life. Listo! In conclusion, people tend to follow the actions of others especially if it's your friends. Using this hack you can inform your followers in facebook or twitter about who has taken action on a purchase, a registration or any other metric improving the odds for others to follow. 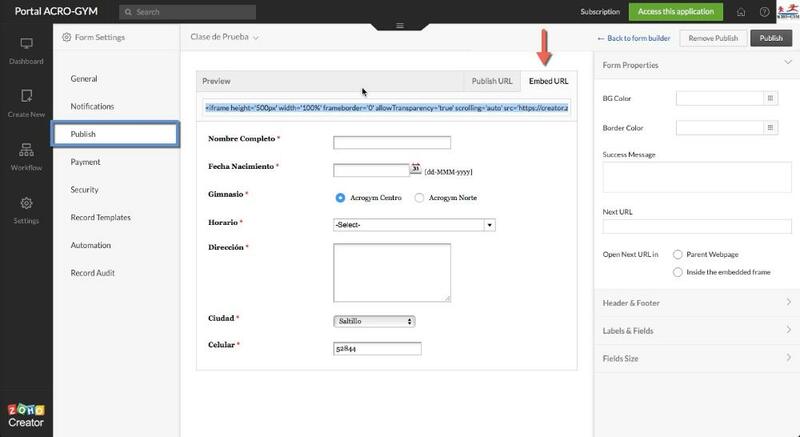 In the video below I show you how we successfully implemented this process for ACRO-GYM the largest gymnastics chain in México with a 10x improvement for our North Star Metric.